Master of Orion has a long history and heritage, and games with long histories can be divisive with passionate fans when someone decides to "reboot" them. It is always a tricky balance trying to call back on the things that worked in the past while attempting to take a series into a new and more modern direction that justifies the title being made in the first place. 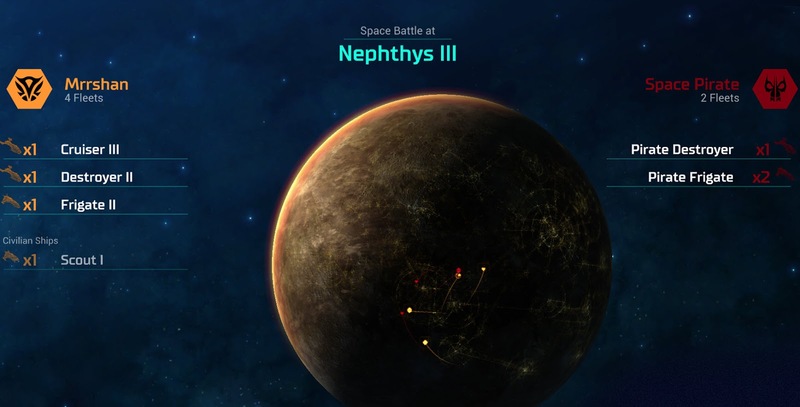 It is a tricky balance that Master of Orion does decently well for the most part, but there are some issues along the way that still need to be resolved before the general release. If they can be changes at this stage, mind you. Having spent my time with the game predominantly in Early Access but near release, the time for sweeping changes is behind us and Master of Orion for better or worse has charted its course. The most obvious reason to revisit a game like this after years away is because of improved processing power and visuals. On that end, Master of Orion sure looks the part, with pretty graphics that show excellent detail on alien races and sweeping solar systems that look lovely at a glance. As is often the case with this type of game, the actual visuals tend to be a little menu-heavy and lack for motion and "action", so the art style itself has to carry a good deal of the load visually. The music is fitting and I enjoyed the different races, though I wish there was more differentiation between them in terms of skills and so on. They generally look great, and the high standard of voice acting is certainly appreciated in the game, but the different races more or less boil down to a series of stat adjustments that impact your early direction in the game more than anything. 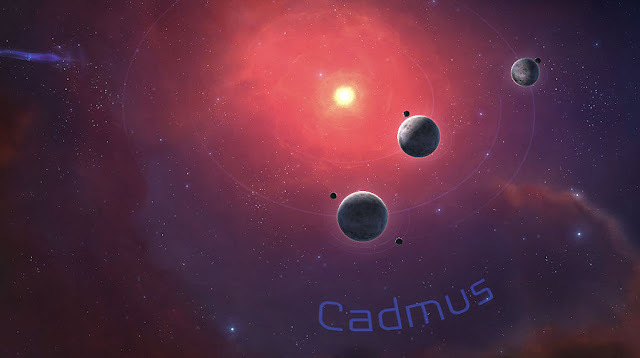 Master of Orion started out, long ago, like Civilization in space. However, at one stage it took a dramatic change of direction, and moved from a turn-based to a real-time combat system. It is safe to assume, I think, that a lot of fans disliked the direction the series took in that third Master of Orion game, and this release comes across as a measured half-step back. You have star lanes (which provides a more predictable framework for travel and interactions in the game) and the real-time combat remains, but the combat is decidedly improved over the third title. There is a substantial learning curve too, that will help catch the interest of strategy boffins. The idea that there are large and small ships adds a different layer to the tactics that I actually enjoyed a great deal, even if I did not completely connect all of the intricacies right out of the gates. With enough time I began to understand how the developers intended it to be played, and I found myself enjoying the system considerably more once the light bulb turned on. In addition to the other galactic species, that might become friends or enemies, depending on how you treat them, you'll also need to deal with pirates, which I enjoyed a great deal. I get the feeling that these guys will be irritating to some, as they find uninhabited plants to squat on and start producing ships that can muck up your plans. In doing so, they add an element of real randomness to them that I could appreciate, perhaps because they are in some ways counter to the game's biggest drawback, which is the enemy faction AI. It is artificial, but not terribly intelligent. My biggest issue is that the enemy factions are typically so pacifist in nature that it largely neuters the diplomacy in the game. When I started playing they did a poor job of building up armies too, making them easy to roll, but a somewhat recent patch has made them more competent on that front. Once in a while, a race will break from the alliance with no real provocation and go on the offensive with a large army, which certainly makes things interesting when it happens, but by and large the pirates are the most deadly dangerous things you'll come across. The science and technology tree is also a mixed bag. I do like that it is approachable, and the interface allows you to make really fast decisions, but I could almost argue too fast. It gives Master of Orion a good sense of pace, but it can be a little too easy to simply dash through everything there is to offer without really registering what you're doing. More depth would have been appreciated, with more consequences to force you to be more careful about the order with which you obtain science advancements. By the same token, I can appreciate that the developer wanted to make this accessible, as the tech trees have become complex to the point where they can be one of the more daunting aspects of the 4X genre. I was reminded of what Matt said in his interview with Jacob Baucler about how this title reminded him of Civilization II. While I could certainly appreciate that sense of nostalgia, the 4X scene has come a long ways since then, and that welcome accessibility in my first couple of games came at the price of depth I found myself pining for later, after I had played it several times. I believe diversity in the tech trees would give Master of Orion a lot more longevity. While the combat took me some time to pick up on, I appreciated the approachable technology trees ease of access and this was only further enhanced by a really solid user interface. The UI is clean and easy to move about - always a concern with a game that is very heavily menu driven like this. The interface was snappy and easy to learn, so I appreciated that. I suspect with a little tweaking, it could even make for a solid console port should the developer be so inclined to do so. Related reading: It might not be set in space, but for 4X strategy fans, it is REALLY difficult to look past Europa Universalis IV. Matt's full review. Each game is its own framework or story. Matt touched on this in his interview, but there is no singular driving narrative. Some strategy games prefer to put you in a specific driver's seat and try to tell a story around the actions that are taking place. Master of Orion opts for a broader, less narrative-driven world. The different races have their own cultures and lore, but each time out you are writing the history of that gaming universe. It is a familiar path for the genre, and while I personally enjoy plot-driven experiences, the open-ended nature of the game allows for you to craft your own stories and really take ownership over the experience. Master of Orion and its sequel are considered absolute classics, while Master of Orion 3 was derided by many fans of the series. 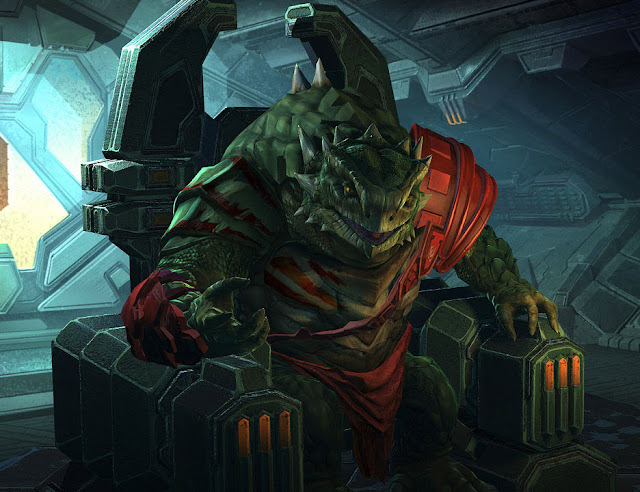 In a way, this Master of Orion comes across as something of a 2.5 version of the game. It takes some lessons learned from the third title and still manages to spark some of the nostalgia associated with the second. Master of Orion has its flaws, but the game itself is still fun for strategy enthusiasts and hopefully leads to a full revival of the property.